Planning applications for a Milton of Leys centre and new homes at nearby Bogbain West have already been submitted to Highland Council. But public reaction was so strong that housebuilder Tulloch and its agents have now told objectors they will review the detail. The change of heart emerged after a community meeting this week. Although the meeting was attended by only seven members of the public outwith community council or similar roles, local concerns include complaints that four-storey flats would be “inappropriate for the area” and wrongly positioned if, as proposed, they would overlook a primary school and a nursery. Local SNP councillor Ken Gowans, who attended the meeting, has described the architecture as reminiscent of Cold War “Soviet style” blocks. Concerned about a lack of school provision as part of the plans, he has also challenged developer projections – said to be based on council data – that, in the “medium term,” local school rolls would fall. A spokesman for Tulloch Homes said: “We will be taking on board the more constructive comments made at the community council meeting and examine them in a positive manner. Tulloch’s current plans for 100 homes on precious greenbelt at “Bogbain West” on the south side of the city would drive a road through an popular area that features a pond close to precious woodland. 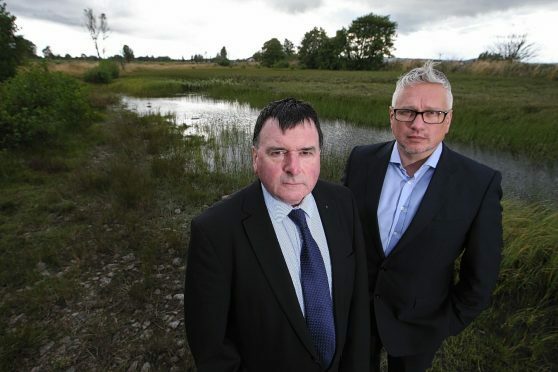 Critics claim it breaches the Inner Moray Firth Local Development Plan. Tulloch insists that the plans are “fully compliant”.